These 2 wheeled bin with bottle bank aperture and standard lid lock are an ideal fix for anyone who recycles or disposes of large quantities of bottles. Perfect for business' with varying amounts of bottle refuse that require shielded and durable waste storage, such as bars, restaurants and enertainment venues. 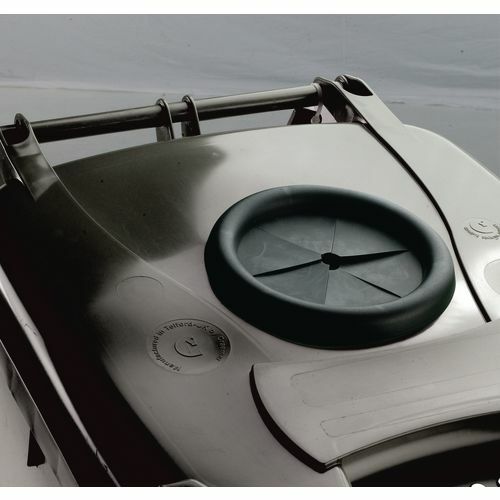 The lockable lid provides safety and security to prevent accidents whilst disposing of bottles especially of the glass variety. The aperture assists in the safe deposit of the bottles into the bin reducing the risk of injury to anyone using it to get rid of glass waste. 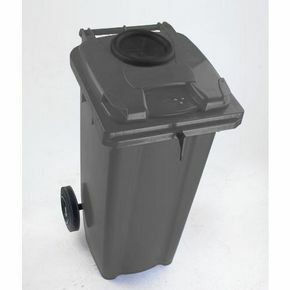 With two wheels re-positioning the bins is relatively effortless and makes it convenient to store them out of the way. They come in a choice of capacities, 120L, 140L, 240L and 360L, as well as their availability in blue, green, grey and red. They have a guarantee of 60 months and conform to relevant RAL, DIN, AFNOR and draft CEN standards.